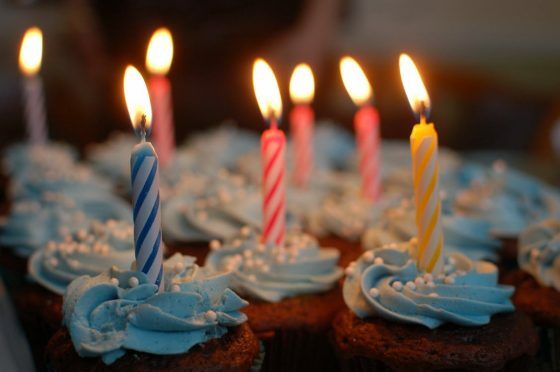 Mackenzie Marketing is 10 years old this month! We’re delighted to have reached this milestone. Over the past 10 years, Mackenzie Marketing has established itself in the Wilmslow area, and further afield, as a practical, no-nonsense business development consultancy. We pride ourselves on offering a bold, creative approach to marketing and business development and our traditional values are matched with a modern vibrant style. Our clients range from professional services, travel and property to HR and professional coaching. We love this variety and never tire of coming up with new ideas to drive our clients’ businesses forward. We’d love to celebrate our 10th birthday with some new clients, so if what we do sounds interesting please get in touch. We are delighted to be working with local business ThriveMinds on their communications, marketing and business development. ThriveMinds provides coaching to individuals and groups, inspiring individuals to maximise their potential both personally and professionally by discovering, supporting and challenging their own thinking. We have already started working on social media and regular blogs for ThriveMinds and we are enjoying putting together plans for future marketing activities. The annual Wilmslow Scarecrow Festival, organised by The Rotary Club of Wilmslow Dean, ran from 17th June to 8th July and we had great fun in the office constructing our scarecrow – meet Mackenzie Monroe! Scarecrows were on display throughout Wilmslow and many businesses got very creative with their efforts. All the scarecrows took part in the Scarecrow Parade on Saturday 1st July, and the winners of the competition were announced at the Wilmslow Show on Sunday 9th July were the Horse and Jockey. Our client Benson Bunch opened a new second office in Hale at the end of March and we worked with them to organise a launch party to celebrate this expansion of the business. 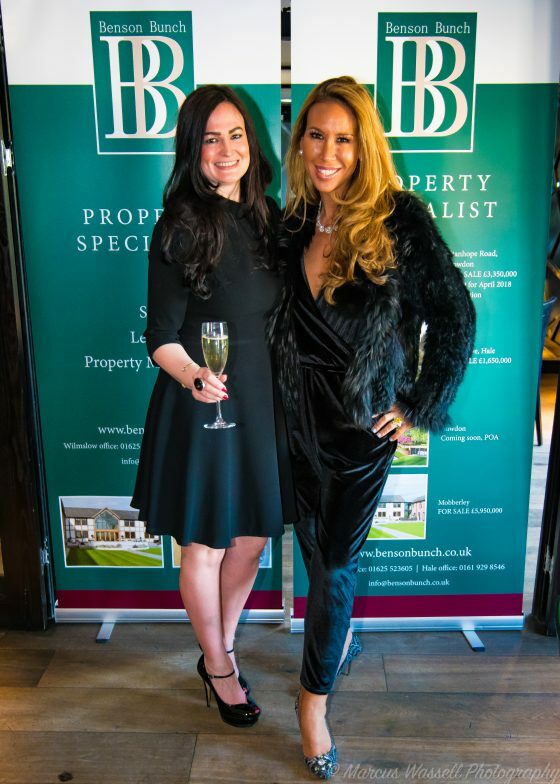 The event was held on 4th May at Piccolino in Hale and guests were treated to delicious canapes and drinks whilst mingling with fellow local business people from the Hale and Wilmslow areas, as well as some local famous faces. As well as an opportunity to celebrate with staff and clients and get to know some of the other local businesses in Hale, this was of course also an excellent opportunity to gain some media coverage for our client and we were delighted that the party was covered by both the Wilmslow Guardian and Altrincham Today. We love organising parties and events and so far this year we have already organised two seminars, a black tie dinner, a wine-tasting and an evening with Wilmslow Symphony Orchestra, as well as the Benson Bunch event. Get in touch if you have an event in mind and would like some help. 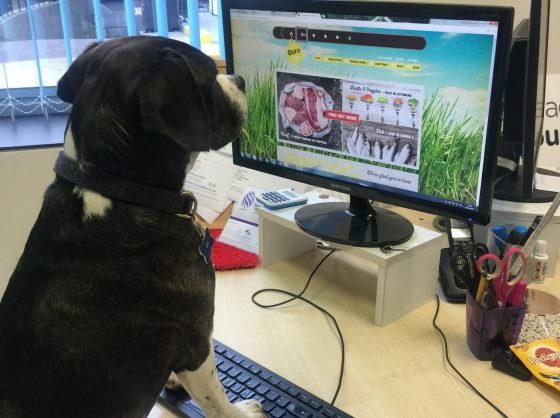 Friday 23rd June was Bring Your Dog To Work Day. Boo often comes into our office but we made sure she spent the day with us on 23rd June. Bring Your Dog To Work Day sounds like just a bit of fun but does actually have a serious purpose. It is an annual nationwide event that raises money for charities dedicated to making a difference to the welfare of dogs. Businesses across the UK welcome employees’ four-legged companions into the workplace, all in the name of charity. As well as raising funds for a great cause, Bring Your Dog to Work Day could have some positive benefits for employee productivity and wellbeing. Many scientific studies have concluded that the presence of pets in the workplace can substantially reduce a person’s stress levels. Increased job satisfaction, team co-operation and morale have all been reported in employees that spend the working day with their pets. Since 2014, the year Bring Your Dog To Work Day was established, a growing number of businesses across the UK are allowing dogs in the workplace. So in addition to raising funds, Bring Your Dog To Work Day could boost the productivity and happiness of the employees within your company. What’s not to love about that?